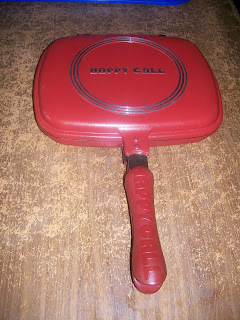 I just buy Happy Call the pressure frying pan , the prize is Rp. 900.000. For the small family the pan is comfortable. We can make cake, cooking, frying with a small fire in little time, it is so quickly. My daughter like cook a fried rice with it. Hmm.. it’s so delicious.